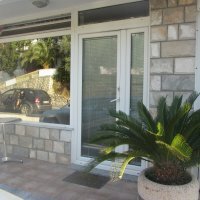 The room is located 130 m from the sea.The beach is coarse sand and gravel. 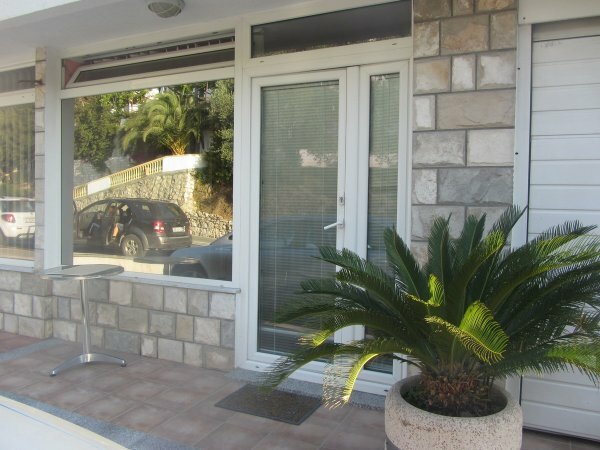 Only 100 m separate the house from the legendary fish restaurant "Three fishermen", which is the hallmark of the coast of Bečići-Rafailovići, store, pharmacy, playground, sports ground. 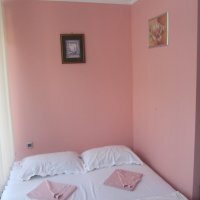 The room is equipped with nice furniture and a high quality finishing. 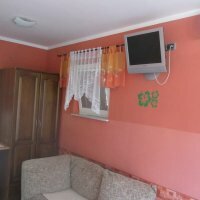 Cleaning service at any time, at the request of the guests, free of charge. 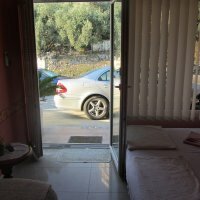 Door and window overlooking the road. 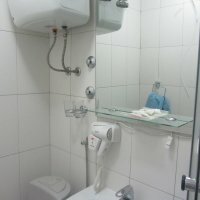 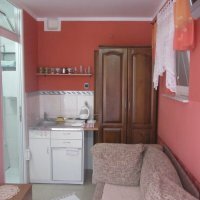 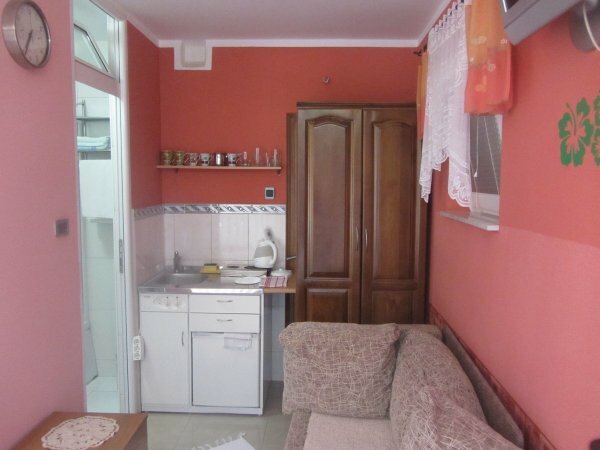 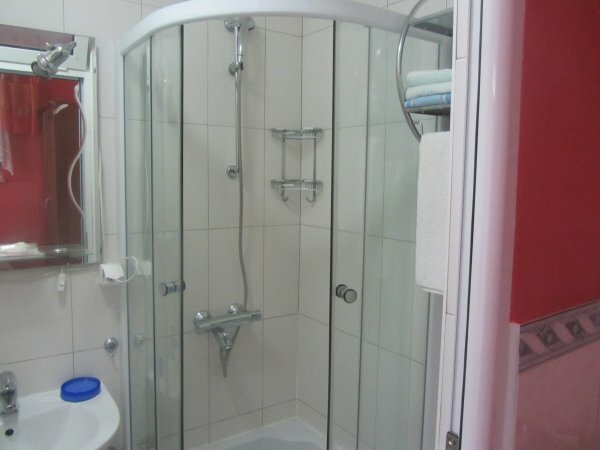 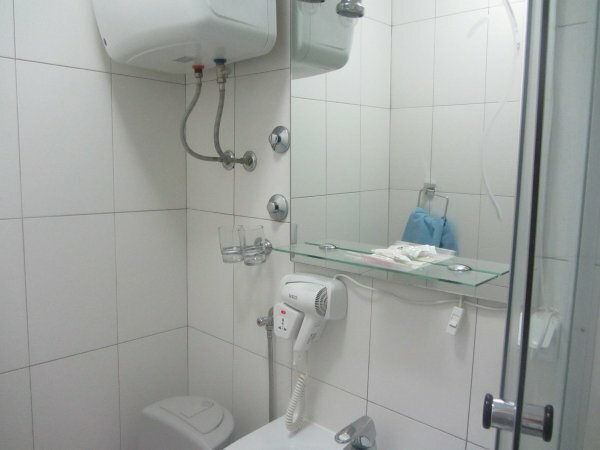 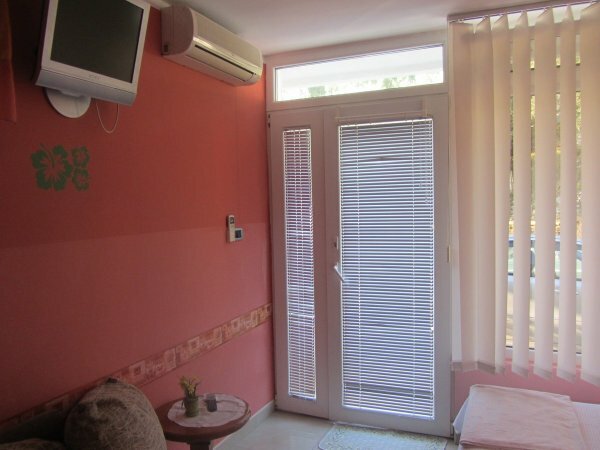 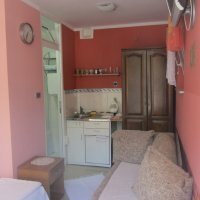 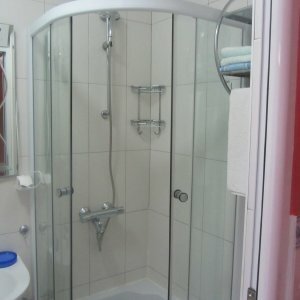 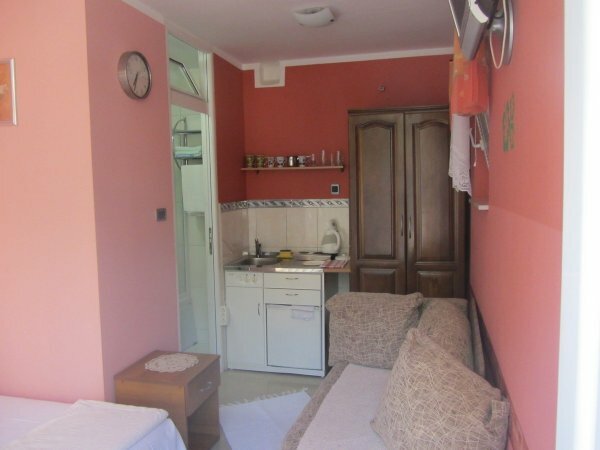 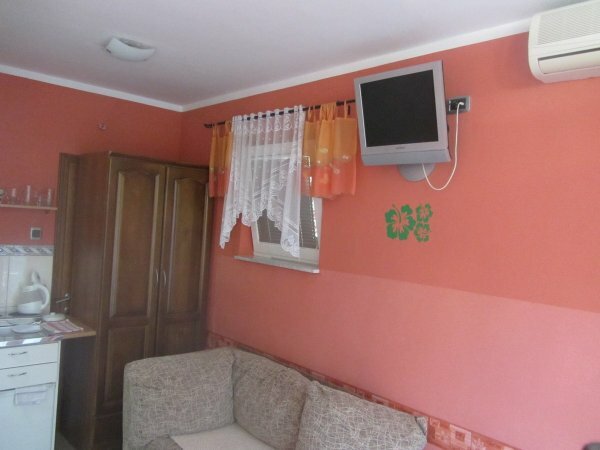 Bathroom with shower, TV with satellite channels, many of which are in Russian, air conditioning, Internet Wi-Fi, kitchen with set of dishes, electric stove and fridge.